Chair massage is a style of seated massage that is typically short 15 to 30 minutes—and focuses on your back, shoulders and neck and arms. Chair massage is done over clothes and doesn't require any massage oil. We utilize static pressure on specific trigger points to relieve pain, increasing range of motion, and balancing the body. Combinations of ancient and modern techniques are used for a unique and completely personalized experience. 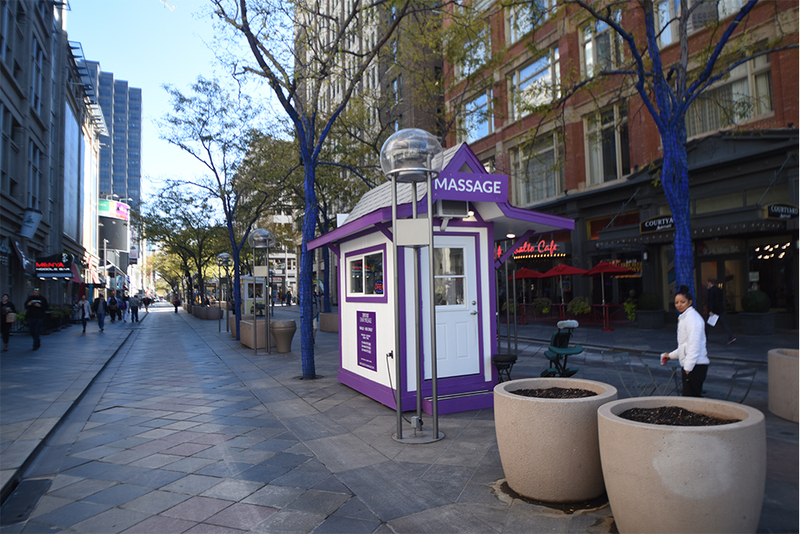 16th street mall - downtown Denver, Between Curtis St. & Champa St.